Are you going crazy with costume mania? Got some festivities a-happenin’ at your haunted little house? 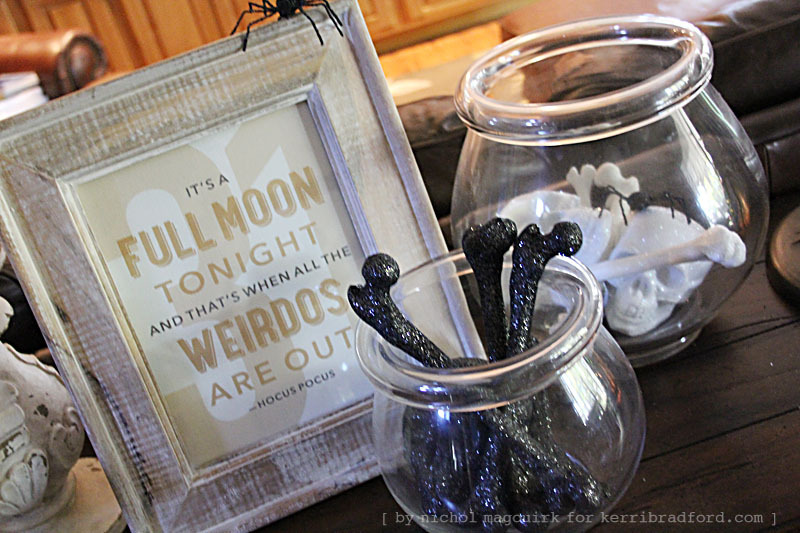 Need a quick, last-minute spook-tacular home decor idea? Check out what Nichol has made! It’ll knock your witchy-poo socks off for sure! These are just completely awesome! I even showed it to my BFF, because she wanted to do the same thing–particularly with the Full Moon quote. Last Christmas I discovered how awesome Kerri’s Print and Cuts look printed on Silhouette Printable Cotton Canvas to make my own framed word art. Kerri’s newest kit, Something Wicked, is perfect for creating your own spooky Halloween decor. 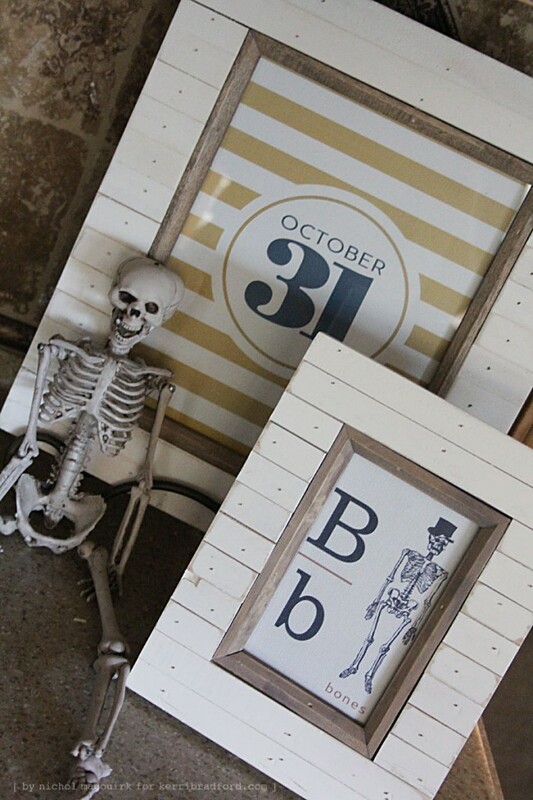 I placed my canvas prints in weathered wood frames to match the Halloween decor in our home. This is literally a 10 minute project that adds so much to your seasonal holiday decorations! And I absolutley love how they turned out! Awesome! both the designs and Nichols examples!! Where can I get the B fr Bones with the skeleton graphic(s)? I didn’t see it on Kerri’s graphic set. Otherwise, I think the designs are awesome! If you’re talking about the B/Bones print in general, it’s there. If you’re talking about the letter ‘B/b’ itself, it’s just a random font…something like Georgia.